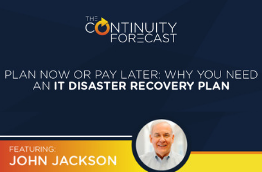 Often times, companies completely miss-prioritize their business continuity strategy. They focus on the wrong items first, which means they spend more money, suffer harsher media impact, and disillusion staff. Joining us today is Michael Herrera, CEO of MHA Consulting. His company has been consulting companies on business continuity and disaster recovery for almost 20 years. His clients include various Fortune 10 companies, as well as NASA, Square, American Express, and others. 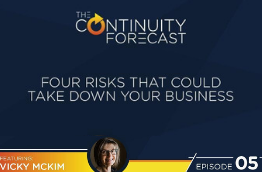 He came on the Continuity Forecast podcast and shared how to prioritize your business continuity strategy. Picture Phoenix in the summer. It’s 110°, and you’re happy to be inside, staring out from your desk. An alarm goes off, and you’re told this is not a drill. It’s real. You need to leave the building immediately. You’re outside, surrounded by your coworkers. The media shows up, starts asking questions. You’ve never practiced this — you’re unsure where to go, what to do, who to check-in with. … What’s your next move? 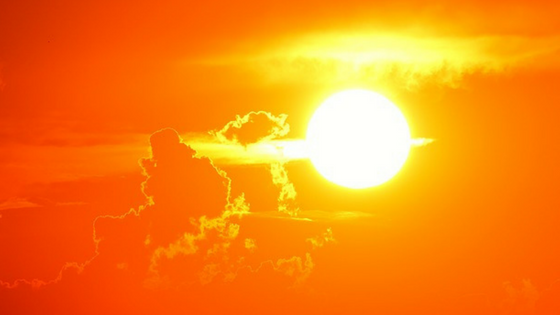 Do you get in your car to escape from the sweltering heat? Are you free to go home? Can you talk to the media? This isn’t a hypothetical situation — it’s exactly what one of Michael’s clients experienced. They hadn’t prepared for a fire or life safety event. Then they had one. Not only were their employees confused, overwhelmed, and under-informed, they also spoke directly with the media. Some went home. Some sat in their cars. Leaders didn’t know how to account for missing people. Did she call in sick? Was she at work today? “It was utter chaos,” said Michael. 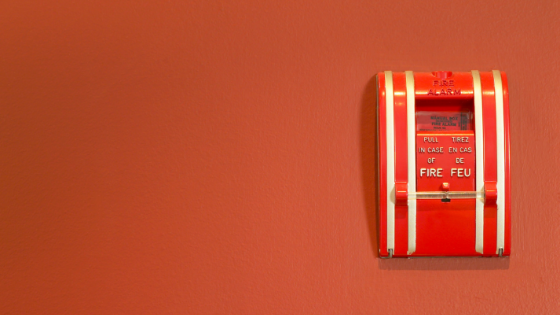 Now this company uses MHA Consulting, and performs at least 3 Fire & Life Safety tests a year. A. Everyone must know how to get out of the building. 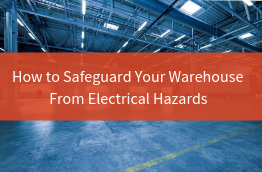 While it may be obvious after the fact, many companies miss this key: All other continuity plans fall flat without a clear escape plan for fire safety, life safety, active shooters, and other risks. 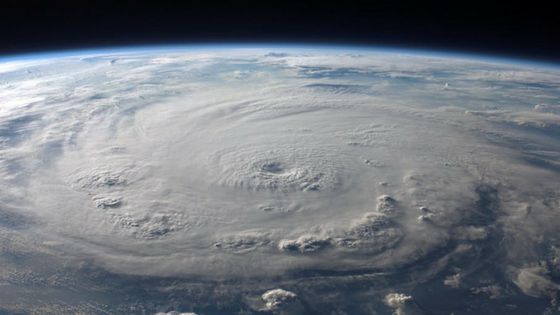 Conversely, Michael gave an example of how one Fortune 10 company faced Hurricane Sandy with a phenomenal continuity strategy. First off, they were well-prepared. Well before the event, they mobilized their crisis management team who immediately began making preparations. They had pre-staged response teams available, and they prepared by re-allocating much of its business operations. They used some of their call center staff to setup an internal-only call center for employees. Later, they also changed their corporate gym facilities into homes for many of their employees who lost their houses. Further, they knew there would be massive power outages. Cell phones and social media are great ways to let people know you’re safe — but they all require power. This company actually sent staff to employees’ homes, just to check on them. Many companies start with business restoration. It’s tempting, but businesses have to remember that employees are typically not well-prepared when an event strikes. If they have no basic resources, it’s impossible to expect business restoration. If your employees’ needs are met they will be able to address business concerns. Remote Locations: Companies need to really do their homework across their organization and locations. They must consider what assets are prone to which risks. Third-Party Vendors: When an event occurs, even if you are prepared, how prepared are your third-party partners who are vital to your business? These could both take their own blog, and we have additional business continuity resources here, or feel free to contact Michael at www.mha-it.com or on email, Michael Herrera@mha-it.com. This blog was taken from a Continuity Forecast podcast. If you don’t use iTunes, you can find every episode here.